This Salesforce Platform Developer I certification training will transform your ability to develop custom applications on the Salesforce platform utilizing the Apex programming code and Visualforce user interface framework. You’ll learn to write customizations for both business logic and interface layers, develop a testing and debugging framework, and extend an application’s capabilities using AppExchange. The hands-on training will ensure you’re job-ready for your next assignment. This Salesforce Platform Developer Certification Training is designed to ensure that you master the concepts and components of application development on the Salesforce Platform. Our training will help you understand how to extend Salesforce features using the declarative and programmatic capabilities of Apex code and Visualforce UI framework. The course is the first in the Salesforce developer learning path and will prepare you to pass the Salesforce developer certification exams on your first attempt. Certified Salesforce developers earn on average over $100,000 in salary, so take this opportunity to chart a lucrative new career path today. Simplilearn’s Salesforce Platform Developer I (Apex & Visualforce) training offers participants the opportunity to work on live industry-based projects that span unique industry needs. The Finance Head of Global Communications has asked you to create an application to calculate mobile and Internet bills for their customers. Currently, the company maintains their customer data in an Excel spreadsheet, but now that the number of customers has reached 3,000, maintaining this data in Excel has become problematic. You must develop an app that can calculate customers’ bills based on their usage and rental plan. You have been approached by the “Global Grocery” chain of grocery stores to develop an application that can manage their vast inventory of thousands of products. They want to track the delivery of products to customers, maintain their contact information, and track the items sold. You work for an insurance company. Your sales representatives must sort through a large number of customer details such as age, income, medical history, marital status, and number of children before they can suggest a suitable policy that will meet the customer’s needs. This is a time-intensive activity. To make the process faster, you have been asked to create an application that can suggest applicable insurance policies relevant to each customer. 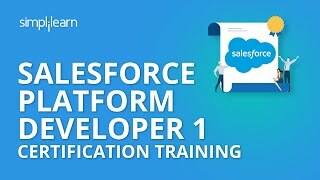 How do you become certified in Salesforce Platform Developer I? Step 1: Complete the Salesforce Platform Developer I training and visit certification.salesforce.com. Step 2: Register and pay the fee for the Salesforce DEV 450 exam. Step 3: Pass the exam with a minimum score of 68% to receive your certification. What are the prerequisites for DEV 450 certification? There are no prerequisites for DEV 450 certification. 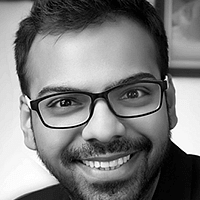 With 5+ years of extensive experience in Salesforce, Atul has implemented and delivered hundreds of projects. He is a 5X Salesforce Certified Advanced Developer with knowledge of almost every aspect of Salesforce and Force.com Platform. Apex and Visualforce are his strong points. I liked the trainer’s way of teaching. It was very effective and well organized. I also found the course content to be comprehensive and rich. I have enrolled in Salesforce certification at Simplilearn. I liked the way of teaching of the trainer. He explained the content is easy language and answered all our doubts in the class which was very effective. The content was also very good. Altogether it was a great learning! All of our highly qualified trainers are Salesforce certified with at least 10 years of experience implementing Salesforce. Each of them has gone through a rigorous selection process that includes profile screening, technical evaluation, and a training demo before they are certified to train for us. We also ensure that only those trainers with a high alumni rating remain on our faculty. No. The exam fee for Salesforce Developer is not included in the course fee. Candidates must register and pay for the exam on the Salesforce website. What is the Salesforce certification exam structure? LVC or Live Virtual Classroom training for Salesforce is a live training conducted via online live streaming of a class. LVC is run by a Salesforce certified trainer with over 10 years of work experience. The class attended by the global audience can enrich your learning experience.